About Us – Capitol Management Consulting Services, Inc.
Capitol Management Consulting Services Inc. (CMCS) is a strategic management consulting firm serving as trusted advisors who support the development and implementation of innovative business and technology solutions for commercial and government clients. CMCS’s in-depth expertise and diverse experience allows us to work with clients to successfully identify and address the challenges of the modern business environment. At CMCS, our clients receive the Capitol Advantage to take their organization to the next level. CMCS leverages over a decade of industry experience to provide clients with organizational governance, performance optimization, strategy, technology, and training services. Our unique approach to identifying and addressing obstacles is derived through a combination of best practices and hands on experience resulting in pragmatic solutions and quantifiable gains. Though CMCS has worked almost exclusively in the commercial space, 2014 will mark CMCS’s entry into the Federal and State government market. 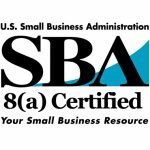 CMCS has been certified as a Small, Women, & Minority (SWaM) vendor in the Commonwealth of Virginia (SWaM Certification #694429) and has been certified as a Small Disadvantaged Business (SDB) by the Federal government. Additionally, CMCS is a registered vendor with the Commonwealth of Virginia and the Federal government and is a pre-approved management consulting service provider to the Commonwealth. 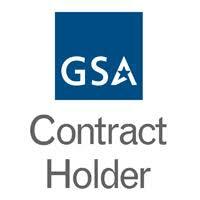 CMCS is also a GSA IT Schedule 70 contract holder, SBA 8(a) program participant, and National Minority Supplier Development Council (NMSDC) certified Minority Business Enterprise (MBE).